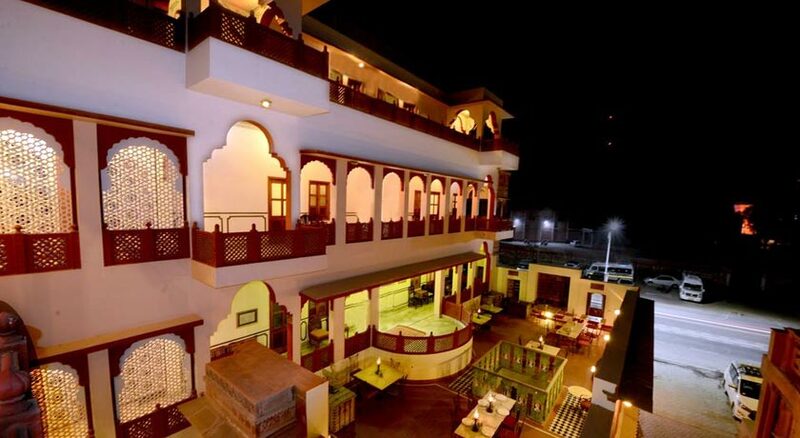 Harasar Haveli,like many other havelis in Rajasthan, is turned into hotel. 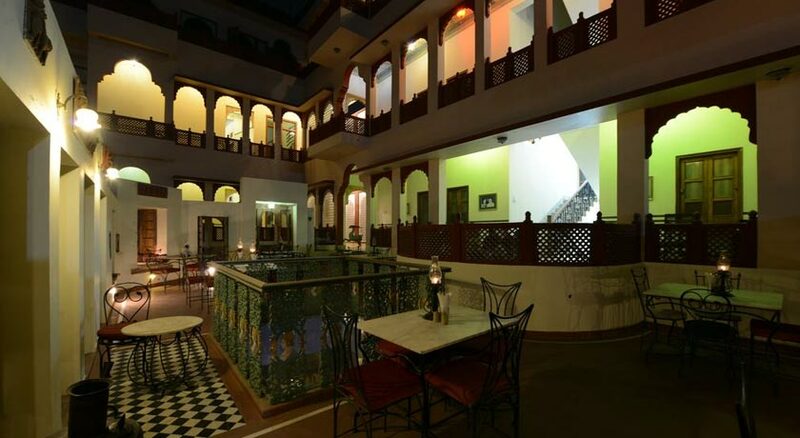 The entire ambience of the haveli is epitome of ancient Rajasthani culture. 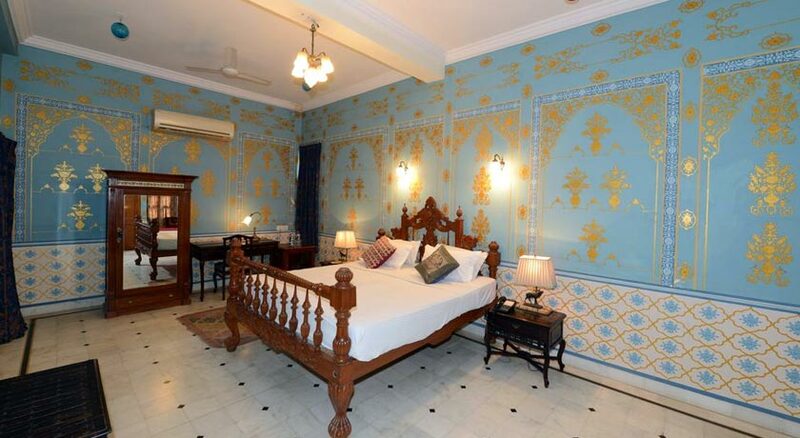 The moment you step into the hotel you will get an experience that you have entered into the Maharajas. 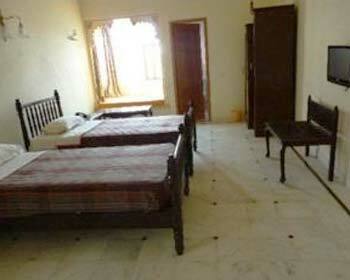 Located in close proximity to Lalgarh, it is one of the best accommodation options available in the city of camels. It is the right blend of modernity and traditional architecture that make it one of the most preferred options. Staying here lets you experience hospitality that is second to none. Thakur Jeoraj Singh of Sarothia was the founder of Harasar Haveli. 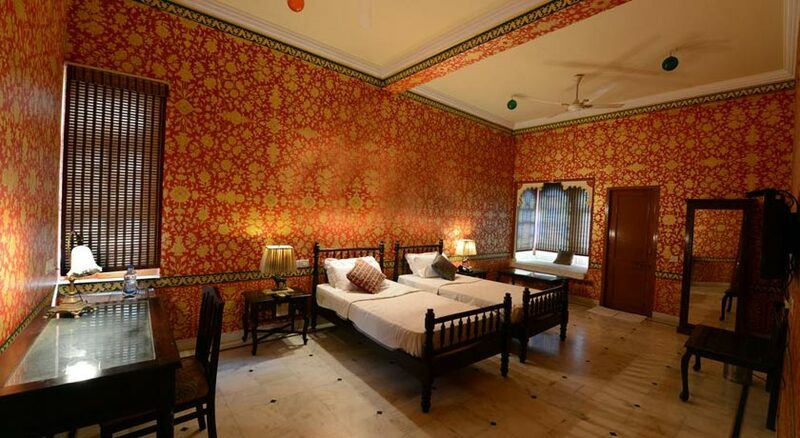 Come and unwind in the comforts of true Rajasthani style! 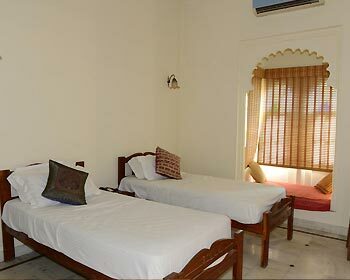 If you are in Bikaner for an extended trip then without having to think much you can opt for Suite as your accommodation. Each room in this category is symbolic to comfort as well as luxury that most of the visitors look for. If luxury accommodation option is what you are looking for then suite is the way to go. 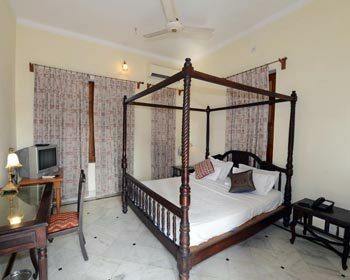 Rooms in this category are well-equipped with direct dial facility, LCD television, microwave oven, high speed broadband connectivity and laundry service. Indulgence, luxury and extravagance are a few words that are synonymous with the recently refurbished Super Deluxe Rooms.The perfect blend of relaxing chair, warm palette of interiors, king size beds and classic wooden chair further enhance your overall living experience. 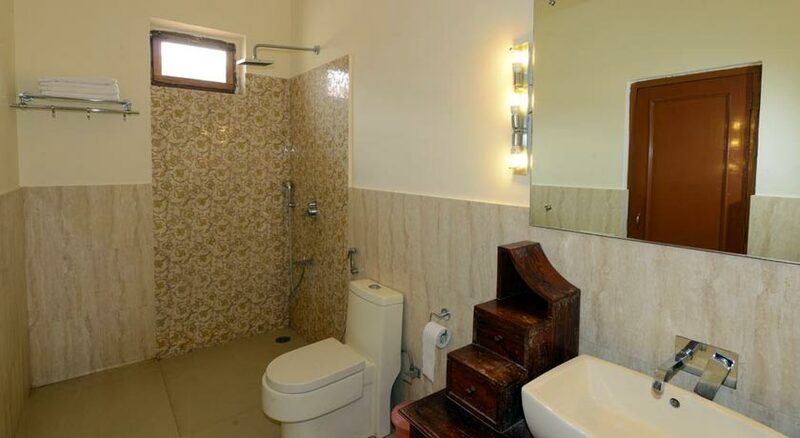 Bathrooms in this category of rooms feature high quality bathrobes, slippers and designer toiletries. Newly renovated deluxe rooms are contemporary in design exuding the perfect blend of style, elegance and ethos. All rooms in this category are well-equipped with several amenities such as tea or coffee maker, internet facility, running water, direct dial, LCD television and laundry to name a few. Elegantly placed wooden furniture, warm tomes and trendy amenities together makes for the right ambience that can help you get rid of stress and tiredness. Rooms in this category are simply the right option for travelers who are having shoe string budget. There are many travelers who have limited budget. For such travelers, these rooms are simply the right option for accommodation. Pocket friendly accommodation options, staying in Economy room’s category lets you enjoy access to basic facilities. 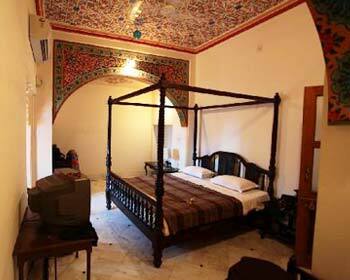 Hotel Harasar Haveli has beautiful, spacious and well-appointed rooms. You can choose from Suite, Deluxe and Super Deluxe and Economy Hotels. Each room is equipped with necessary amenities. The rooms are uniquely designed, which portrays the exquisite work. 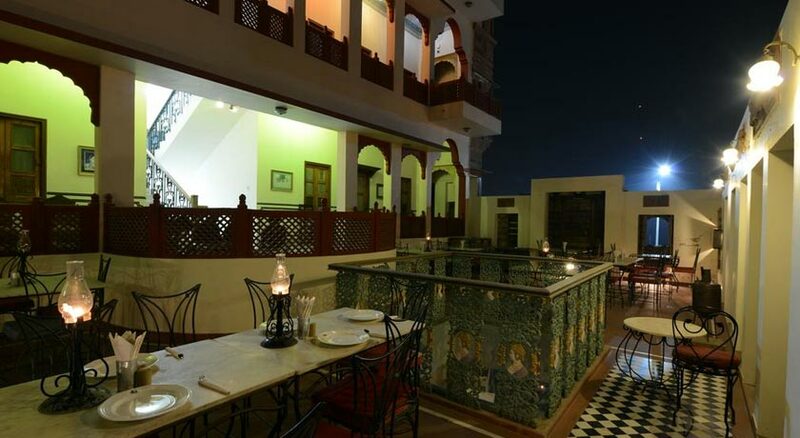 Hotel Harasar Haveli brings to all its discerning travelers a range of delicious cuisines. 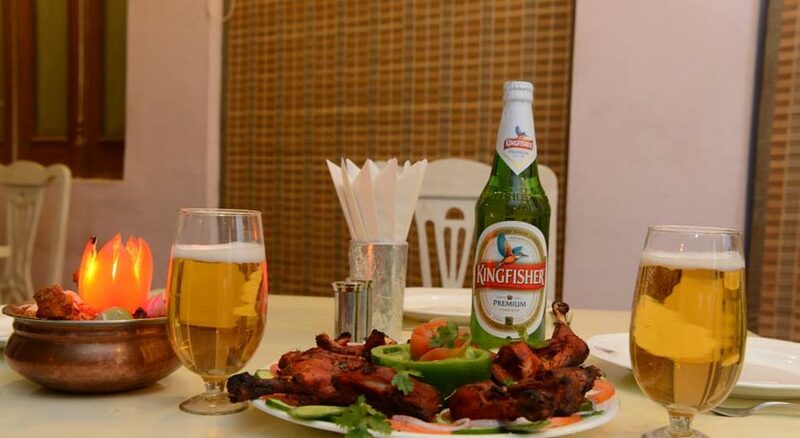 Here, you can get an opportunity to dig into some of the most deliciously prepared dishes. Tantalize your tangling buds with rich flavored Rajasthani meal. Chefs at Hotel Harasar Haveli prepare dishes using the finest of the herbs so that you have a never before like dining experience. You can also enjoy in room dining service.